Western Exhibitions is thrilled to present twelve elaborately patterned and intensely personal paintings in Edie Fake’s second solo show at the gallery, Gut Rehab. The show opens Friday, September 14, 2018 with a free public reception from 5 to 8pm. Gallery hours are Tuesday through Saturday, 11am to 6pm. Please contact info@westernexhibitions.com for images and more information about the artist. 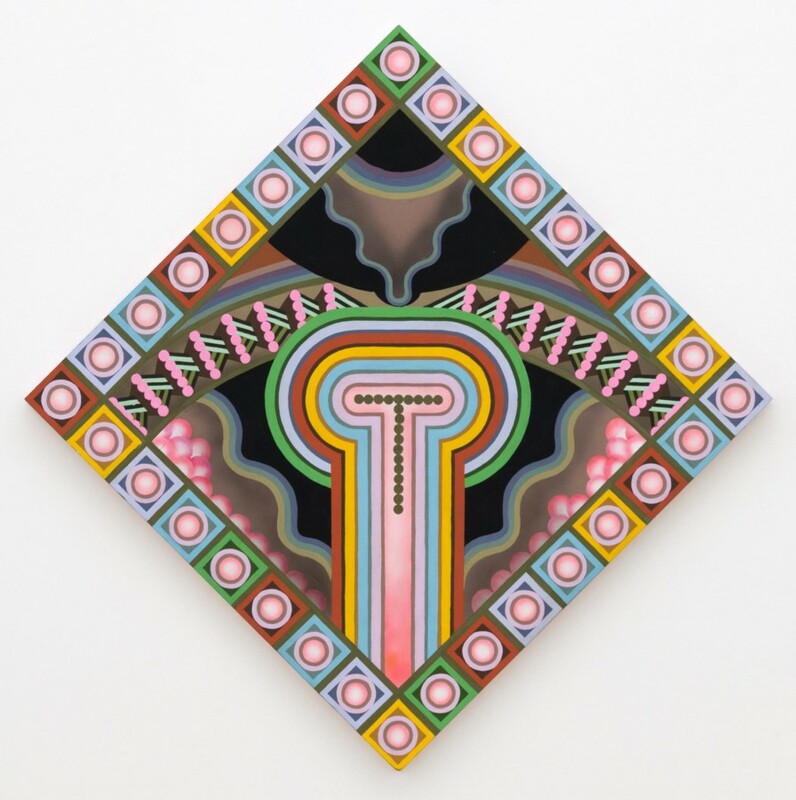 Edie Fake’s paintings start as self-portraits, and from there, they make a break for it, referencing elements of the trans and non-binary body through pattern, color and architectural metaphor. His precise, intimately scaled, gouache-and-ink paintings on panel are structured around the physical aspects of transition and adaptation as well as mental and sexual health. Edie Fake’s drawings, paintings, comics, books and publications have been written about it in artforum, ArtNews, The Comics Journal, Art 21, The Guardian, Hyperallergic, The Los Angeles Review of Books and were recently featured on the cover of the Paris Review. He was one of the first recipients of Printed Matter’s Awards for Artists. His collection of comics, Gaylord Phoenix, won the 2011 Ignatz Award for Outstanding Graphic Novel. Fake’s work has been exhibited nationally and internationally, including solo shows at the Everson Museum of Art in Syracuse, NY and Marlborough Contemporary, NYC, and in group shows at the Museum of Arts and Design, NYC and the Institute for Contemporary Art at VCU in Richmond, VA. Edie Fake was born in Chicagoland in 1980 and received a BFA from the Rhode Island School of Design in 2002. Fake is represented by Western Exhibitions in Chicago and currently lives and works in Twentynine Palms, California.